SKU: BMGN. Categories: BLUE MARINE FOUNDATION, Collections, Necklaces. 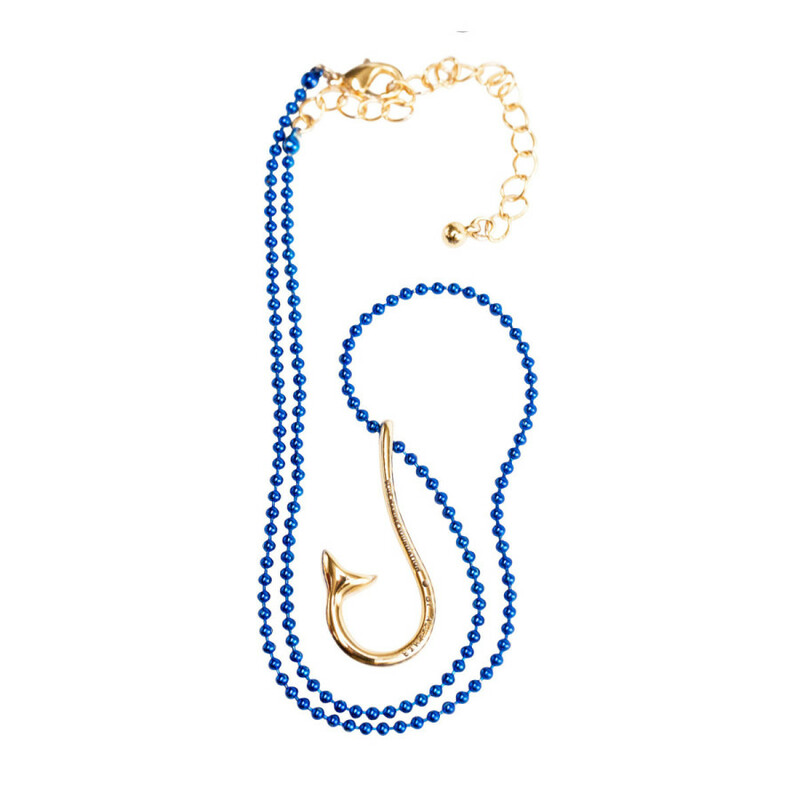 Allumer X Blue Marine Foundation gold plated fish hook with blue ballchain necklace.